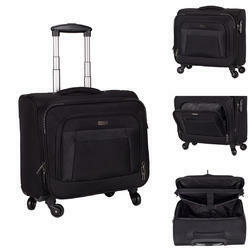 This Briefcase Trolley Bag offers ample space so that you can store a large number of accessories. The telescoping handle retracts into a zippered compartment when not in use and the case includes a dual carry handle for added convenience. With sincerity and hard work of our professionals, we have carved a niche for ourselves in this domain by providing a premium quality gamut of Computer Trolley bag. A briefcase is an accessory that never goes out of style. The picture of a successful business person or professional is incomplete without a briefcase by their side- the quintessential business bag. 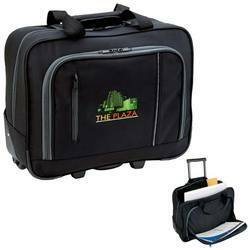 Briefcases are synonymous with a sophisticated and professional look. A stylish briefcase is not only an elegant accessory, but is a functional necessity to the on-the-move executive. Size: As per buyer's requirement. Color: As per buyer's requirement. We are offering Trolley Bag to our clients.